An elderly man, post hernia surgery, had a transient ischemic attack (TIA) and respiratory difficulties. His speech prior to surgery had been normal but was now slurred. He was also choking on thin liquids. The neurologist examined the patient and recommended a swallowing study. A speech-language pathologist (SLP) evaluated the patient, found him to be at high risk for aspiration, and completed a consultation form recommending NPO status. However, the physician did not see the form, and the patient continued to receive thickened liquids. Two days later, the patient suddenly aspirated, arrested, and died. Within one hour of the patient’s death, the hospital reviewed the case. The critical incident resulted in changes to the protocol for swallowing evaluations. As part of the updated protocol, the physician “pre-authorizes” an NPO order, and the SLP is authorized to write the NPO order if the bedside swallowing evaluation is suspicious for the risk of aspiration. However, the deadly outcome for this patient had already occurred. The AHRQ documentation detailed a number of reasons for this tragic error. As in most medical errors, the failure cannot be attributed to a single party. In this case, the critical error had its roots in the failure of both written and verbal communication. First, the SLP did not consider the NPO recommendation important enough to contact the physician immediately, and thus she did not verbally communicate the recommendation to the physician. Second, the hospital protocol resulted in sequestering her consultation form with the NPO recommendation in a special section of the chart, not in the core daily progress notes that all physicians read regularly. Third, the physician did not read the SLP’s consultation form and act upon the recommendation. 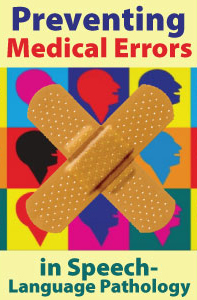 The AHRQ commentary further notes, “Medical errors and accidents due to communication mishaps are complex and multifaceted. In this case, liability could be attributed to the physician, the speech therapist, and the nurses caring for the patient. All of them failed to communicate and/or receive critical medical information, and their failure led to the patient’s aspiration. This means that we need to be careful that, after an accident investigation or root-cause analysis, we don’t design protocols that prevent only the specific error from happening again. In this case, an NPO order was the problem, but the root cause analysis revealed general problems with communication. 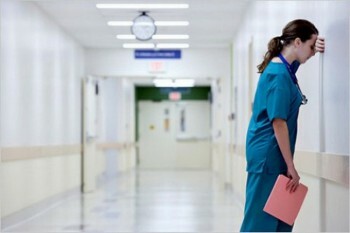 The chance that another patient will die due to lack of a timely NPO order is relatively small. Virtually all of the consumers (96%) said hospitals should be required to report medical errors to state health departments. Currently most states (including Florida) do not disclose facility-specific information to the public about mistakes. Yet 82% want each hospital’s medical error record to be available to the public. According to a study in Health Affairs (Classsen et al., 2011), hospital errors are more common than suspected…ten times more common. Medical errors and other adverse events occur in one-third of hospital admissions according to the authors. The more you look for errors, the more you will find. Professional Development Resources is approved by the Continuing Education Board of the American Speech-Language-Hearing Association (ASHA Provider #AAUM) to provide continuing education activities in speech-language pathology and audiology. Professional Development Resources is also approved by the Florida Board of Speech-Language Pathology and Audiology (Provider #50-1635) and the Ohio Board of Speech-Language Pathology and Audiology and is CE Broker compliant (all courses are reported within 1 week of completion).